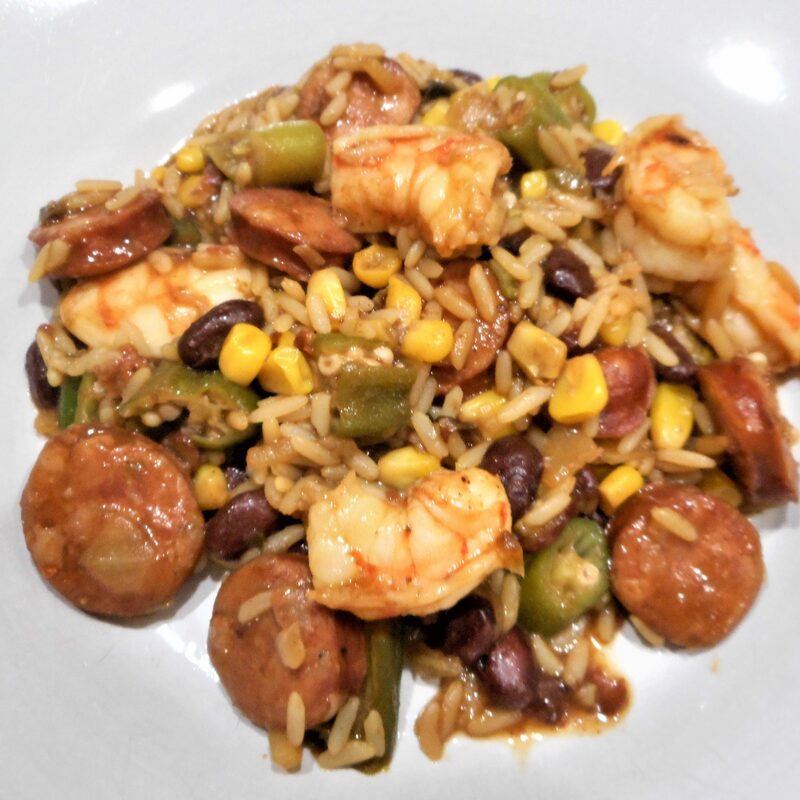 A bowl of gumbo married red beans and rice! 1. Season the shrimp with the Creole seasoning, tossing to coat, and refrigerate until later. 2. Cut sausage into 1/4-inch-thick slices. Preheat large, nonstick stockpot on medium 1–2 minutes. 3. Place oil in stockpot, then add sausage; cook 2–3 minutes or until hot and sizzling. Stir in remaining ingredients (except shrimp) and cover; bring to a simmer, cook 20 minutes. 4. Stir shrimp into rice and cover; simmer 6–8 more minutes and until shrimp are pink and opaque. Serve.